HandyMetrics Corporation is a health software services and technologies company that develops innovative infection control, hand hygiene and general facility auditing technologies for the healthcare setting. The company specializes in measurement and communication technologies for health-related monitoring. Our goal is to provide you with intelligent health measurement and analytics services to promote health and well-being in your facility. With SpeedyAudit, we are committed to helping to reduce your workload and increase your efficiency through automation. Increase your efficiency with hand hygiene, personal protective equipment and precautions monitoring. 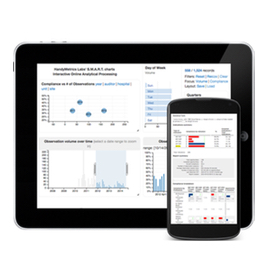 Dive deep into evidence based analytics and reporting to solve tough problems. 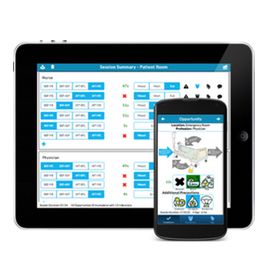 An affordable, easy to use hand hygiene and personal protective equipment auditing app. SpeedyAudit automates data processing, analysis and reporting. A sophisticated, evidence based, hand hygiene auditing tool that provides deep data analysis and understanding of behavioral patterns.